Digital photography has become extremely popular thanks to its accessibility and speed, but to get the best out of those photographs some time needs to be spent editing and tweaking them. Thankfully, plenty of applications are available for you to complete such tasks with, starting with moderate and user-friendly functionality of Google Picasa all the way up to most complex pieces of software, such as Adobe Photoshop (or simply PS). In fact, Photoshop is probably one of the most popular photo processing programs currently available. Most people that use it know but a few percent of its capabilities and are likely never to use all of it, myself included! Fewer people still understand that it has never been targeted squarely for photographic use (the way Adobe Lightroom is, for example), but rather all sorts of graphical editing. How much sense does it make to use such a complex and professional piece of software to edit simple family photographs? Not that much if you’re a simple enthusiast who just wants high quality photographs with minimal fuss. Thankfully, Adobe has something for you as well. 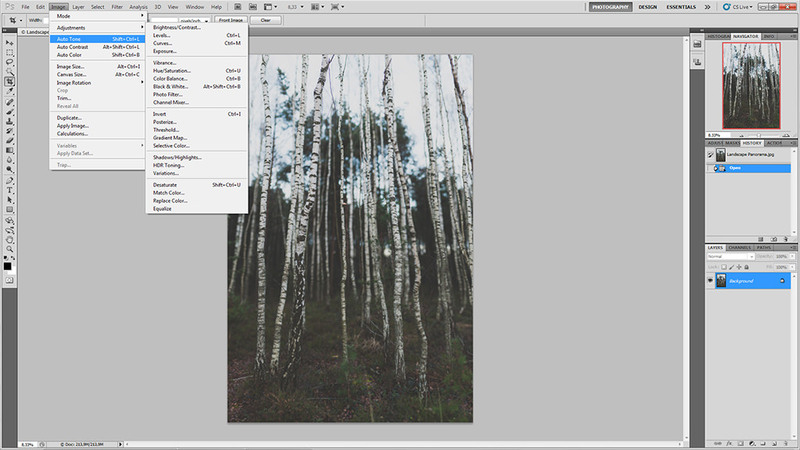 Photoshop Elements (PSE in short) is a lighter, simpler, quicker version of its sibling. In essence, it offers all the functionality you’ll ever need to edit your JPG and even RAW images, but through user friendly tools and interface. In this Photoshop vs Photoshop Elements article, I will give you a quick tour of 11 capabilities of Photoshop Elements. Hopefully, this brief comparison will help you decide which one is better for your needs. As the name would suggest, Photoshop Elements is a close relative to the Photoshop CS, but unlike its bigger brother, it’s not targeted at professionals. Don’t get me wrong – Photoshop Elements 11 has a lot tricks up its sleeve, such as RAW support through Adobe Camera RAW plug-in. On one hand, anyone familiar with the regular, full-fledged Photoshop will find themselves right at home. But Elements doesn’t encourage you to use any serious tools manually – in fact, it aims to do most of the work for you with just a few clicks. So if you want your family images to pop and stand out with minimal fuss regardless what sort of gear you use, be it a DSLR, a mirrorless camera or a compact point-and-shoot, this may well be your answer. Luckily, being targeted at a very different audience means the price is also significantly lower. Adobe Photoshop CS6 retails for around $590, while the Extended edition costs a whopping $900. You should really consider whether you need all that functionality, because Photoshop Elements 11 will set you back a mere $60 (current price with instant savings). Naturally, some Photoshop features are not available in PSE, for example Channel Mixer, which can be used for some advanced B&W conversions, or 16-bit and 32-bit image support. Actions are not present as well – they allow you to record a set of changes you make and then repeat them with a single click on another photograph. In turn, there are several features that Photoshop doesn’t have, such as built-in organizer (you’d use Bridge with Photoshop), various templates and social connectivity. PSE also features tons of automated tweaks, while Photoshop will require you to do everything by yourself. On one hand, it gives you fine control of every step. On the other hand. unless you spend a lot of time post-processing your photographs, doing it all by yourself can be difficult to learn. Both PS and PSE support plug-ins, which can greatly extend capabilities of both programs. A side note: in this article I am providing screenshots of Photoshop CS5, which has been replaced with CS6. If you happen to already own CS6 or want to buy it, note that the user interface looks different on it compared to CS5 – Adobe decided to use a darker skin with the CS6, similar to how Photoshop Elements 11 looks. Sadly, I do not own the CS6 release. Either way, CS6 is still as complex in comparison and its core functionality is not very different from the older CS5. In this section, I will give a brief user interface comparison of the two pieces of software. Photoshop CS5 is most likely familiar to most of you, so let’s give that a quick tour first. Not being a professional photographer, you’ve decided to try and improve your family or vacation photographs – make them that bit more vivid and contrasty, perhaps. You go ahead and open them up in Photoshop. Straight away, there’s a problem – a screen with a lot of tools that can make your head spin. It may not be too hard to learn all that for a working pro, but it can be quite a challenge for a person who has never had any experience with graphics applications. Photoshop is an extremely powerful tool with a lot of built-in capabilities. It is practically limitless – more often than not you are likely to be restricted by your imagination and skill rather than the software, it’s that powerful. With the capabilities, however, comes complexity. 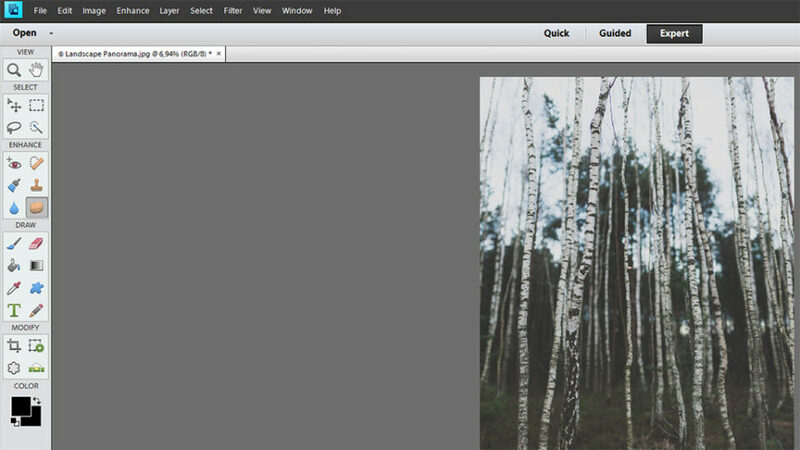 Once you open up an image, it gets wrapped with a set of menus and panels on three sides of the screen. A lot of things can be modified to suit user’s preference. Needless to say, there’s an abomination of tools. Some of the tools actually have other tools inside them! And, don’t get me wrong, it’s all great – the layers, the history, the masks, the effects, the left-side panel tools (the whole lot), the adjustment layers and whatnot. But if you’re not even remotely a serious photographer or a graphics designer and just want your family images to look better than they do out of the camera, well, let me put it this way – you’ll hardly find this software simple to use. Far from it. Everything comes with settings and adjustments to fine-tune the result, and different tools can be used in conjunction with one another in many different ways, most of which I do not know myself. I won’t dive in too deep – there’s just too much to mention. But let me just say this. There are only a few “auto” options available, such as “Auto Tone”, “Auto Contrast” and “Auto Color” in the “Image” menu, and that’s really it. There’s no one-click red-eye removal (at least I’ve never come across it), for example. You use several extremely flexible tools and use them relying on your skills alone. In other words, while Photoshop doesn’t limit the skillful and what they can do, it doesn’t really help the novices either. A bit of an overkill for family pictures, don’t you think? User interface is a different story with Photoshop Elements. While anyone familiar with regular Photoshop layout will probably feel right at home, new users will also find the controls more friendly and easy to understand, because of the three simple edit modes available. You’ll be choosing one over the other depending on your knowledge of tools and how much you want to edit your images. Let’s start with the simplest one and then discuss those intended for more advanced post-processing. With only a few simple tools available, this is the simplest edit mode and can be used for quick, minor actions. On the left-side panel, you have the Quick Select tool, which you can use to select portions of the image that will be edited leaving the rest of your photograph intact. There’s also the Red Eye Removal tool that hardly needs introduction – you just select eyes of your subject and PSE will do the rest. It’s a similar situation with the Whiten Teeth tool, which you’d use to outline your subject’s teeth. Type tool is very straightforward – select the tool and just click wherever you want to put text. Spot Healing brush is there to help you remove skin imperfections, such as blemishes, or unwanted objects from your image. It’s not super-precise and can hardly be used for highly-detailed and complex object removal, but works very well for small objects with simple backgrounds. Finally, there’s the Crop tool. Strangely enough, for such a simple tool, I find it mildly annoying to use in Photoshop Elements Quick Edit mode. It’s quite difficult to select the whole image for cropping and continue from there (for example, if you want to crop while keeping the aspect ratio locked), because you have to start drawing your crop rectangle on the image itself (there is a workaround, though – read the next paragraph). Even more strangely, it acts completely differently – and much better – in Expert Edit mode, where it’s also available. All of these tools have specific settings available. The corresponding panel appears as soon as you select one of the tools. You will find it at the lower part of the window, right under your photograph. Being able to fine-tune your tools makes them much more flexible. For example, to bypass Crop tool limitations and crop by keeping original aspect ratio, select the tool and choose “Use Photo Ratio” from the drop-down menu of the middle section down in the settings panel. But that’s not all you can do in Quick Mode. There is a set of options on the right side of the screen, too. These are post-processing options and allow you to change contrast, color and lightness of your photograph among other things. Clicking on any will expand the menu and give you a slider along with several preset looks to choose from. Extremely user-friendly and intuitive, these options should prove simple to experiment with and get the result you want. Try it! The first option, Smart Fix, puts all the other options into one for those who just want their image to look good without spending time getting to know what each set of presets does. Guided Edit mode is somewhat different to Quick Edit mode. It gets rid of all the left side panel tools except two basic ones (the Zoom and Hand tools) instead focusing on various corrections and effects. You can find “Touch Ups” and “Effect” on the right side of the screen. Selecting one will switch to a different panel where a set of options will appear to guide you through the process of fine-tuning Effects and Touch Ups. As you can see, there are many to choose from. Instead of covering all of them for you, I’ll just give a couple of examples (boring!) and let you learn the rest of them yourself (the fun part). 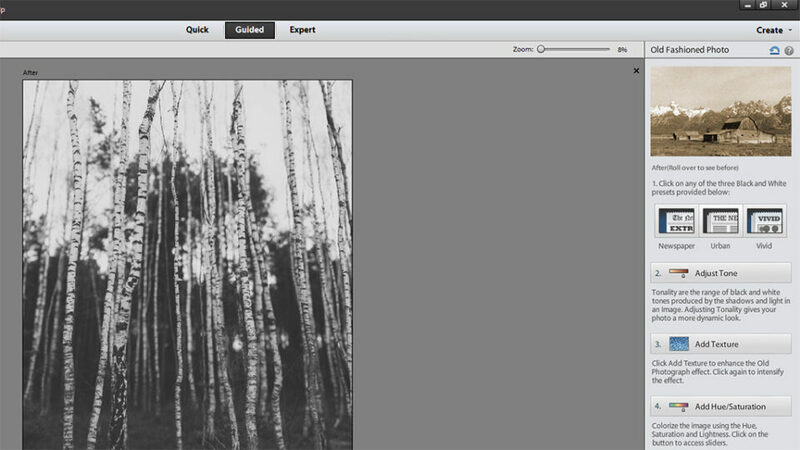 Old Fashioned Photo effect allows you to convert your image into a vintage B&W or sepia photograph. Once you select the effect, a new panel will appear with 4 (or any of the 4) steps for you to take. The first step allows you to choose one of the three available conversion modes – “Newspaper”, “Urban” and “Vivid”. I chose “Urban” for our sample image, but suggest you try all of them for yourself and see which one fits you better depending on your photograph. The next step is “Adjust Tone”. Clicking on the setting will automatically adjust shadows and highlights of your image to make it more contrasty. The third step adds scratches and (mostly) digital grain to the image to help it appear old and of lesser technical quality. Click several times to intensify the effect. Strangely enough, although the first step allows you to convert your image to B&W, digital grain appears to be color. The only way to cancel out the random coloring is to take the last step – “Add Hue/Saturation”. This step will basically allow you to add a color cast to your image. You can cancel out any step by clicking on any of the previously taken again. Click “Done” to apply your steps and get back to previous panel. Vignette effect is likely going to be one you’ll use rather often. Adding vignetting is a powerful way of guiding the viewers eye away from image borders towards your subject and is often used even by professional photographers. I, for one, choose not to remove natural lens vignetting from my images and more often than not don’t even see it as a shortcoming of a lens design at all. If you click the “Vignette” effect, two steps will be available for you. First of all, you must choose whether you want a black or white vignette. You ought to choose the black one almost always – white vignetting, in my opinion, very rarely suits any sort of photograph with the exception of, perhaps, high-key images (very bright photographs). Once you choose your vignette, you will notice it doesn’t look too good. Adjust the intensity slider to make it less prominent. Still not quite good enough? Don’t worry – that’s what the second step is for. It allows you to fine-tune your vignette and make it more subtle. Click “Refine Shape” and two sliders will appear, “Feather” and “Roundness”. I usually set Feather to its maximum value for smoothest transition and set Roundness depending on the image. The more times you click Refine Shape slider, the more subtle the vignetting will get, so use until you’re fully satisfied (especially the Feather slider). In this mode, Photoshop Elements allows you to take full control of your post-processing workflow. Gone are the effects replaced, instead, with a number of powerful tools on the left side of the screen. You’ll find some of them familiar if you’ve tried the “Quick Edit” mode (and more or less all of them will be known if you’re familiar with regular Photoshop tools), but many are new, like the “Lasso” and “Smart Brush”. These tools are divided into five categories – “View”, “Select”, “Enhance”, “Draw”, “Modify”. In addition, Color settings are available at the bottom of the tools panel. I won’t be covering these tools in more detail as, like the name suggests, “Expert Edit” mode is supposed to be used by photographers who know the basic uses of most popular tools, filters and settings. Suffice to say there’s a lot less guidance in this mode. It requires you to use a set of different adjustments to achieve previously accessible single-click actions. If you want to use this mode effectively but don’t yet know what all of the tools and adjustments are for, prepare to spend quite a bit of time learning and experimenting. 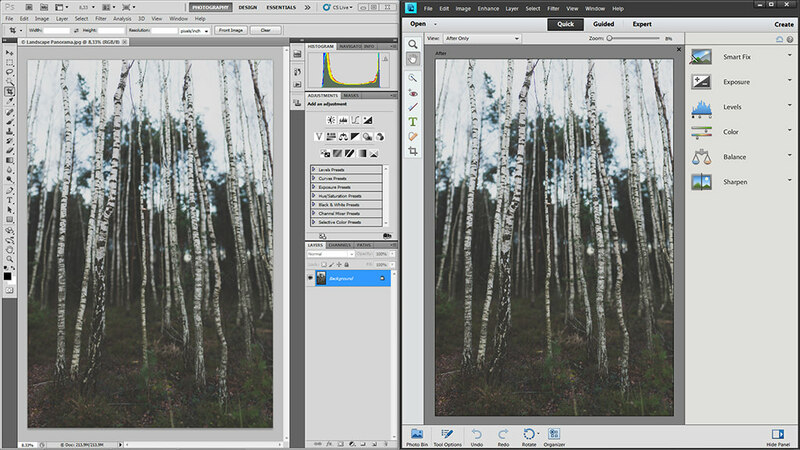 Which to Buy – Photoshop or Elements? Before you decide where to put your hard earned money, you should go through the functionality of Adobe Photoshop, Photoshop Elements and Lightroom and decide what is important for your daily work. If all you need is basic photo editing, Lightroom is the way to go (see our Photoshop vs Lightroom article for more info). If you need more advanced editing and fine tuning of your images, whether it is working with multiple layers, adding text, advanced removal of unwanted objects or creating panoramas, Elements would nicely complement Lightroom. If you need advanced tools, availability of many great third party plugins and a slew of other functionality with practically limitless possibilities, Photoshop is the way to go instead of Elements. If you are just starting out, we always recommend to start with Lightroom or Elements first, before even thinking about Photoshop. If you only have a few hundred images that you need to edit and store, Elements is plenty enough. But if you have thousands of images, Elements cannot stand a chance against the robust photo organizing / cataloging capabilities of Lightroom. So for most people that enjoy taking many pictures and have years of photos to sort through, Lightroom would make a lot of sense over Elements. For those situations, Lightroom should be the first choice. Once you are ready to explore the world of “destructive” advanced editing, give both Elements and Photoshop a try – both can be used as trial software for 30 days, which should be enough time for you to decide what you truly need. If you happen to be considering purchasing the software, here are some links from our trusted reseller, B&H. Click here to purchase Adobe Photoshop Lightroom for $119.99 (includes a bunch of freebies). 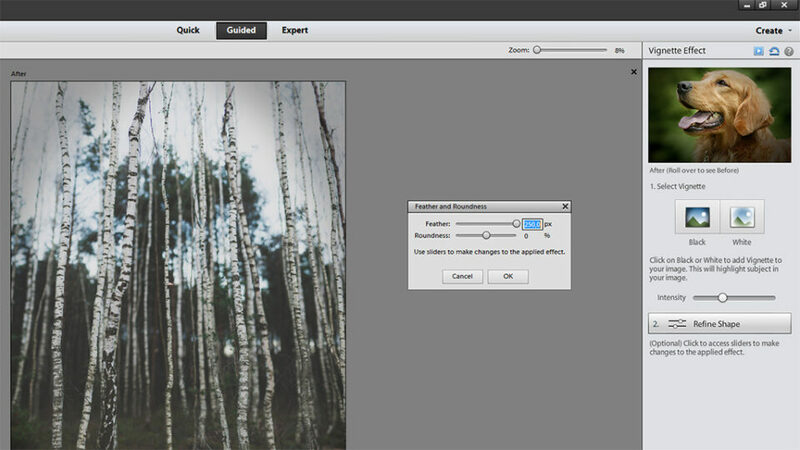 Click here to purchase Photoshop Elements 11 for $59 with instant rebate (regular price $81.99). Click here to purchase Photoshop CS6 (Windows) for $589.99 (get the Extended edition here for $899.95). Click here for Mac version (get the Mac Extended here). Even though Photoshop Elements is a simplified version of full-fledged Photoshop, it’s still a very powerful piece of software and is likely to suit the needs of both beginners and aspiring amateurs. It combines user-friendly interface with a very large amount of tools available. Obviously, I was only able to cover a small portion of all that’s possible focusing on the simple and quick adjustments – we didn’t even get to Layers, let alone catalog-based Elements Organizer. But, hopefully, you found this article useful in your choice of Photoshop versus Photoshop Elements for your post-processing needs. For a detailed list of differences between Adobe products, take a look at the Adobe Comparison Guide, which outlines most of the differences in functionality and features. I have CS6 and I found it’s camera RAW implementation quite different from CS5 (and better). I would have preferred a face off with Lightroom to give me a good reason to switch and feel more in the “game” with my friends who use it. I started with digital photography in 1998 with an Epson PC700 and switched to Nikon within a couple of years. I dont remember all the models I went through. But 15 years ago Photoshop was the way to go and I followed the wave til now. I know I don’t even use 20% of it but each time I question Google on some feature I need, I get an answer right away and use it (like breast augmentation for instance lol). I see endless possibilities with it and it does batch too. Oops and destructive or non destructive, the RAW files never get altered. DNG files can be “altered” – they carry some post-processing info with them. Of course, no changes are permanent. On the other hand, Lightroom handles other file types as well, where the non-destructive editing is very handy. I always like comparison articles like this, Romanas. I’m wondering how you feel about Lightroom vs. Elements with the latest version of LR, version 4.4, or even with the new Beta version 5? I do find it interesting that Elements is actually less expensive than LR, and I’m wondering if LR, especially the latest versions, might in fact do the same or close to the same that Elements does? LR 5 does have better ability to remove unwanted objects than the current version has. From what I’ve seen, it can work, especially for objects farther in the background. But I don’t think the beta 5 version does panoramics, so maybe that is one area Elements and PS might be better at for photographers. Anyway, I’m very happy with LR. I have CS3 but rarely use it any more because of the capabilities of LR, especially with the latest versions. I have no plans to switch from LR to something else, but it is interesting and nice to see what other products do. Take a look at the Lightroom vs Photoshop article, where this is discussed in a little more detail. I agree 100% with the organizing and sorting of photos. That’s one reason I really like LR. I have close to 100,000 photos in my catalog. I love the ability to TAG (add keywords) to all photos. I have a long ways to finishing this, especially for my older images, but it’s great to be able to find a group of photos using up to 8 keywords to try to find what you’re looking for. I typically only search for them with 2 or 3 keywords, but it makes is a lot easier to try to find what you’re looking for. It’s great to be able to search and find your top ranked photos (5 stars, for instance). I also really like the Collection feature of LR. I can go through an entire set of images and hit the shortkey “B” to put those I want into a collection and do so rather quickly. There are just so many organization and sorting functions I really like with LR, in addition to the editing capabilities. I did see the LR vs. PS article. I was just wondering if you had any updated views, since that article was written about LR version 3. The latest version is 4.4, and the beta version of LR 5 has recently been released. But, as mentioned, I don’t have any plans to dump LR at all! HUGE difference in operating performance with CS6 compared to 5- greatly improved. No more system lock ups, auto save feature, everything works much faster and smoother, ACR is awesome. While I don’t disagree that the complexities of CS6 (or in this case 5) can certainly be overwhelming especially for a novice; a more valid comparison (as noted by comment above) woulc be Elements 11 to Lightroom 4. Mark, I agree – I also find CS6 to be more stable than CS5. One bad thing with Adobe, is that if you stay with an older version of Photoshop, you are not entitled to Camera RAW updates. So if you are still using CS5, forget about being able to open those D7100 images! Great article! As a recent purchaser of Elements 11, I had downloaded the free trial of lightroom and loved it but realized to do any further editing, I needed a little more but did not want the expense of Photoshop. For my use, Elements 11 is great organizing/editing package. My recent purchase of a Nikon D7100 means a lot more photos to organize/review/edit and the flow is really easy to work with while allowing more than usual touch up with the “Smart brush” options. Interesting article which will raise some debate. I cant stand the catalogue feature in Elements or Lightroom, personally I prefer to organise my own catalogue currently 35k of files. If you take the time and trouble to correctly file and label your images then there’s no need to let some program do it for you…What happens when these programs become obsolete ? As for post processing I have and use NX2, Lightroom, Elements and Photo Ninja. Overall I really like Photo Ninja for crunching the RAW file and any tweaking I do in Lightroom or Elements…. NX2 control points tool is fabulous for hitting certain areas, shame about the programs stability. 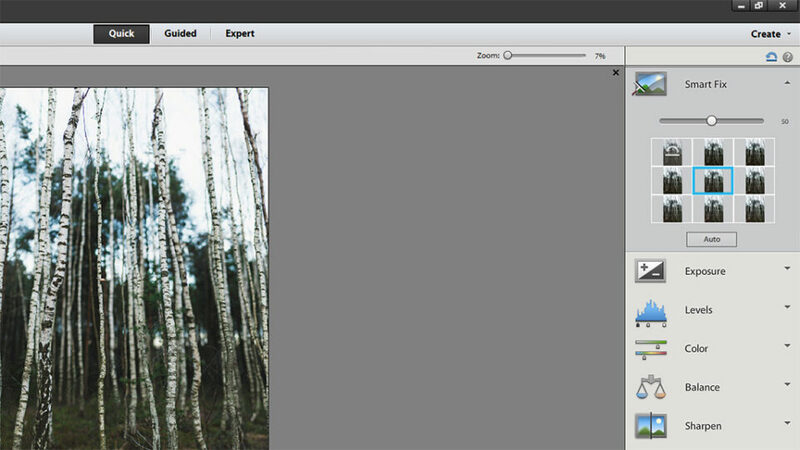 New to digital photo editing get Elements 11, want more control use Photo Ninja or Lightroom 4. Pays ya money makes your choice… Then get the headache trying to learn the program. Get the photo right in the first place, spend less time in front of the computer. I’ve thought of that, AK, but the way I look at it, and the way I use LR, I in effect do organize my photos by putting them into various folders. I organize by years; I organize by type of photos….personal photos, professional photos, workshop photos, photos that I receive and sometimes edit from others, etc. And, I do use a lot of keywords. It is very easy to add keywords en masse to a set of pictures. If LR ever were to become obsolete, I can always use the latest version I had (I’ve been very happy with version 4 and will likely update to version 5). And, with the way I have it organized on disk, I think I probably would be able to implement that into any new software I might choose to use later on. But, whatever works for people is what they should do! Just purchased to Elements 11 – using raw files – should I be saving edits with Save As or just Save- I am getting different opinions on this. I thought if I just save the nef file, I won’t be able to go back in and do extra editing unless I Save As. Is this correct. Hi Roman, as usual a good article, this time about post processing. What you forgot to mention for novices like myself happily using Windows XP, Lightroom 4 basic system requirements include a change to Windows 7 or higher. That just blew my mind, I really was not looking forward to paying for a new operating system. Luckily I found Lightroom 3 available on Amazon, but it wasn’t easy. Hi, Tony. I am currently using LR version 4.4 on a Windows Vista system. I also am testing version 5 Beta on this same Vista system, and it seems to work fine. The main problem I have seem to have is not enough memory. I only have 4 GB of RAM, and when I work with very large files, especially large TIFFs, I do run into problems. I also see similar problems with my 35 Mb RAW files from my Nikon D600 I just purchased in December, but they’re not as bad as with the very large TIFFs. In order to get more memory, I need to go to a 64 bit system. Maybe that’s the issue….in order to process large files, you need more memory which can only occur with a 64 bit system? Yes, Richard, thanks for that. Your experience makes me so glad I tried Lightroom 3 for free for 30 days before buying. My operating system is Windows XP, running with only 2GB of RAM, and I had no problem running the Lightroom 3. I’m probably running only a 32-bit system. Knowing all that I was grateful I could still run Lightroom 3. Showing post-processed pictures to my sister, she thinks they look professional. More likely it’s because the pictures were shot with my Nikon D3100, and they looked pretty good out of the camera. After spending a few minutes with each shot in Lightroom, I guess the photos really popped. I never shoot in RAW, only JPEG. Here’s a fellow, Ken Rockwell, who has made photography his life. Ken has some interesting things to say about shooting in RAW and post-processing. I know of Ken Rockwell. He is highly opinionated, but I do like his site and view it often. He’s primarily a Nikon shooter, and I like his opinions because of that….I had a series of Minolta film cameras over many years, but when I went digital, my first DSLR was the Nikon D70 (I actually purchased a Canon G3 point and shoot as my first digital camera, just to see how digital worked). I’ve subsequently purchased a D200, and, last December, I bought the D600. So I appreciate Ken’s point of view about Nikon gear. I think he makes a point about RAW, but I’m not sure I agree 100% with what he wrote in that link. I think much of what you shoot will depend on if you shoot JPEG or RAW, as Ken also thinks. I primarily shoot RAW for my personal stuff. But I also professionally shoot some marathons and other races. The company I shoot for on a freelance basis requires JPEGs right out of the camera, right after the event. So, that’s what I shoot for them….small, medium quality JPEGs. These are perfectly good pictures, fine for their purposes. But, I also have shot RAW files for some other professional events. In fact, for one project I worked on, taking pictures of tourist locations in my area, the company required untouched JPEG images. So, I took not only JPEGs, but also shot RAW at the same time so I could have the RAW files for myself! I really believe that RAW gives you more flexibility in editing images, which is why I use it for my personal stuff. Personal stuff includes a number of workshops I take. I used to go on workshops out west with a professional photographer who unfortunately passed away 2 1/2 years ago. But I went to places like Death Valley, Yosemite, Kauai, Lone Pine, and other locations with him. I always shot RAW for these types of events (and continue to do so), and I’m glad I did. With RAW, you have all of the original camera data, kind of like a film negative. With JPEG, some of the data is lost through the compression techniques used. I can say that if you showed me a single picture I took, I would not be able to tell if it was originally shot in RAW or whether it was taken as a JPEG; but I can also say that just working with RAW files and JPEGs, I do have a lot more flexibility in trying to make the RAW images “pop.” I say this as an overall view, having edited thousands and thousands of photos over the years. I’ve had professional photographers tell me that you can pull out details in both the dark as well as the white parts in a RAW file which you could not do in a JPEG file because of the compression. One thing I will also mention is that with Lightroom, if you edit a JPEG, you don’t actually see what the White Balance is. There is a slider which has a number for temperature and tint. With RAW, you see what the actual color temperature is, and you can change it to something you might want. Also with RAW, you get multiple options if you want to change the WB, such as Auto, As shot, Custom, Daylight, Cloudy, Flash, Tungsten, and Fluorescent….unlike with JPEG, where you only get “As shot,” “Auto,” and “Custom.” This is indicative of the fact that there is more information in a RAW file with which to work. Having said that, JPEG quality is indeed quite good these days. Also, RAW files are indeed much larger. With my D600, as mentioned, my RAW files typically are up to 35 Mb in size. It does take much more hard disc space to store, and it does put a strain on processor power and memory requirements. But, I’ve had my current PC close to 5 years, now, and it’s probably time for an upgrade anyway. I also have a backup system with an internal terabyte drive that I store files on along with an external terabyte drive that I back those files up to. I only have a couple of hundred GBs left on that system, and it’s filling up quickly with these new, large D600 RAW files! So, for that reason, I am considering not only a more powerful PC with more memory; I am also looking into higher capacity backup drives….most certainly a RAID type of system. So, it really depends upon what your needs are and how much time (and money) you want to invest in editing images and storing them. JPEGs may very well suit someone because, as you say, the quality of cameras like the D3100 is very good. I don’t know if Ken changed his mind about RAW/JPEG since then but let me tell you that 14 bit RAW files don’t look so much of a gimmick with new sensors as they did when they were first introduced… Not starting an argument here and, really, everyone should decide by himself but I believe sensor technology is really making (non-linear 8 bits) JPEG files feel a bit short. Perhaps everything would look different now if 16 bits JPEG files have reached some momentum but that didn’t happened. Anyway, I’m not criticising anyone (and I’m surely not criticising Ken, a better photographer if he can only use is thumbnail that I am no matter how much of my body and mind I can use) but please do not look at old articles as dogmas. We must continually try to evolve and adjust our technical options to what is best for us at the moment. And yes, there are quite a few moments when I think shooting JPEG only is the best choice, it’s just not what I choose most of the time. Having used the Nikon D600 for over 4 months, now, with its full frame, 24 megapixel sensor with 14 bit RAW files, I do notice a great improvement over how well I can edit my pictures. Because of the larger sensor, images look more clear and crisp. Because of the higher megapixel count, I can zoom in and crop a lot more than I used to be able to and maintain great quality. Because of the 14 bit RAW files, I can pull out details, especially in shadows and darks, that I really don’t think I would be able to with JPEGs. But, it’s as you say….everyone should decide for themselves, depending upon their needs and desires of digital imagery. I think my D600 (and other cameras nowadays) does take great JPEG images, but I like to be able to pull out more info from the file, allowing me to tweak my images, even if it is a very minor tweak. Yes, even with my old Sony A700 it’s amazing how much detail I can recover from shadows in RAW files. I’ve had the chance of working with a few pictures from newer sensors and sometimes it feels almost like magic (or like what one could do in the lab with negatives, manipulating the exposure for different zones). It doesn’t work well with every picture (sometimes one just wants shadows to be shadows) but RAW files do give the opportunity to tweak (further) the image in post and the only real disadvantage, for me, is a buffer filling much faster. What I was trying to say to Tony is that there is not only one good solution and an article from 2009, even from Ken, should not be taken as an absolute rule, particularly if one takes into account the tremendous evolution of camera sensors. But I digress from this post’s subject. My apologies to all of photographylife’s team about that. Question: Relatively new to Adobe photo products, can you use Lightroom and Elements 11 and not have conflicts in the catalog? I have Capture NX2 on my pc and want to enhance what I can achieve in editing in particular stitching panoramas and HDR. I shoud be grateful for your thoughts. I am not prepared to pay for a full version of Photoshop. 1. Photoshop Elements is NOT Photoshop Lite. It shares some features, as do all photo editing programs. But it remains a stand alone, DIFFERENT program and it will not prepare you to move up to Photoshop later. 2. Photoshop Elements is slow and is a memory hog. 3. Lightroom and Photoshop have two different goals. Lightroom is a tool for managing all your photos, Photoshop is a one-at-a-time photo editor. 4. Photoshop Elements “dumbs down” Adobe Camera Raw-you get ACR, but not ALL of it. If you are a photographer, you are best served by getting Adobe Lightroom and taking a few classes. You’ll spend less than Photoshop costs, have a much better tool than Elements, without spending much more. Many thanks for your comments I found them very helpful. Having tried both Photoshop (too complex and too expensive) and PSE (a bit too limited) I ended up buying Corel Paintshop Pro X4 (presently using X5). And I think its great. It has alll of the key tools of PS (Selections, Layers etc) and more features than PSE and is easy to use for the most part having some special wizards and other tools to help do things like remove perspective errors and fixing tilted images . Its also cheaper than either of the alternatives. It has some disadvantages – some of its terminology is a bit different as are some of the commands and there is not that much info on the Web about it. While it supports most PS plug ins, some do not function properly – the latest versions of some Nik plugins for example. For me this is not an issue as I use the older versions. For many its a highly proficient and useful option that may be worth considering. Lightroom is the way to go if you want RAW, Darrell. Hi! I’m new in the community of photography, so I start to take lessons of photography (basic, and Intermediate level). Now I want to take the next step to edit my photos, but I don’t want an app that organize what a want to file by myself. I want a friendly user app to handle my photos and make something new with it. Is the PSE the right choice to start editing? Hello, I really enjoyed your article. I am wondering of Photo Shop elements will still allow me to add text to an image? Good couple of articles comparing Adobe’s photo programs. I use PSE 11 to do B&W from RAW. Only hitch is I have to switch from 16 to 8-bit to go to B&W from colour and for further refinements. How much work can Lightroom do in 16-bit? Hi good article Thanks.. Do you have any info where I can learn how to make DVD labels. Actually how to select size, diameter etc I have Adobe CS6 Premier, Photo shop etc. I have not been able to find any. i LOVE your website so simple yet informative and written in plain language thank you! They have been providing excellent work in this field and that is the reason they are the preferred choice of people. Bought a PS element,after about three months messing with it, I managed to edit some pictures nicely. There are some features way more advance than aperture but will triple up your time as well, the result is a bit better but not worth the many extra time. 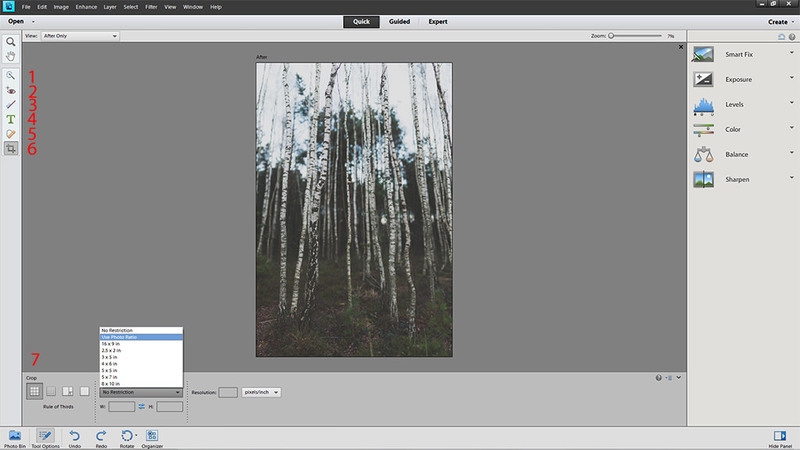 I still can’t get pass image organizer in one screen and editing in another vs aperture, all in one screen. How do you save edited image in PSE? The images always come back flashing for editing more. Any commercial products that are free to download, you are loading virus into your computer too. Just the dodgy name of the site you suggested is enough to send me running away. Can you do head swap in photoshop elements?